Chester thought he was the biggest, toughest, most handsome creature that ever walked on two legs. His feathers were a handsome yellow that covered him from head to toe. His tail was full and long. His voice was strong. He challenged every rooster, every goose, and every duck in the barnyard, and won. 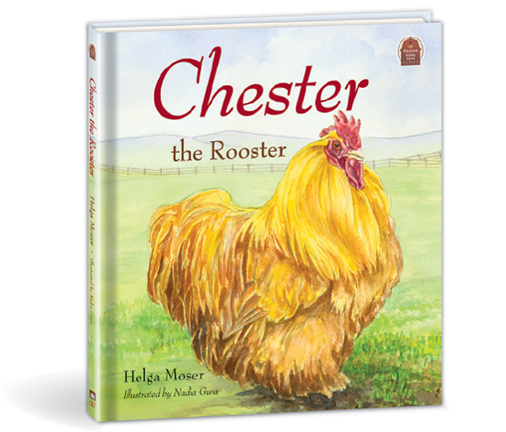 But when Chester thought he was tough enough to challenge Molly, he made a big mistake, and learned a lesson about pride the hard way. Fine watercolor paintings illustrate this second book in the Pleasant Valley Farm series.